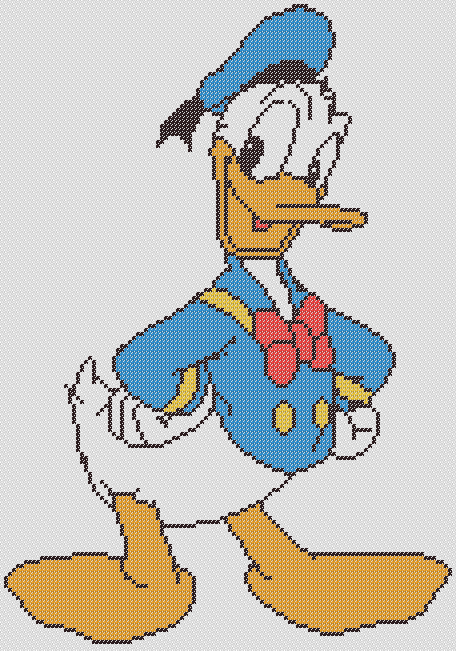 Here’s Donald Duck, the quick-tempered Disney animation character with a heart of gold. This full-sized cross stitch design is a wonderful addition to your Disney needlework projects. It only requires five DMC thread colours, making this perfect for a project that you can do together with your children.